The Overberg, Orange Free State, Northern Cape, and even the Midlands of KwaZulu-Natal, produce outstanding wines. And the country’s capacity to grow vines extends as far north as Bronkhorstspruit, 50 km east of Pretoria. You will even find vines in Mpumalanga. 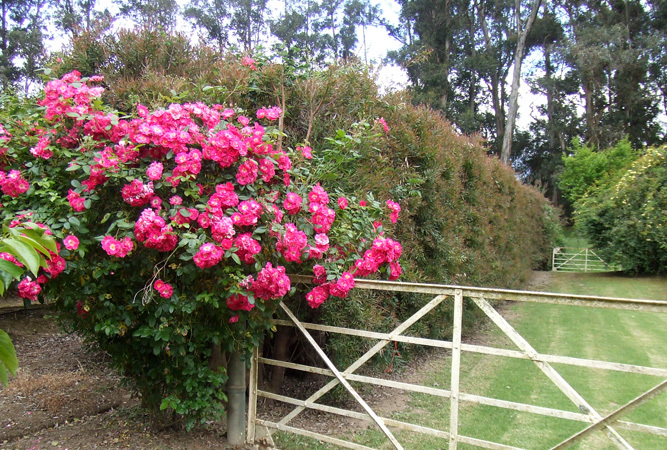 But you would be right in assuming that vines grow particularly well in the Cape. The breezes off the Atlantic Ocean, the cold winters and hot summers, the winter rainfall – all combine to create the perfect scenario for wine production. There are so many different wine routes in the Cape that we didn’t mention half of them in our first article: a wine lover’s guide to South Africa. 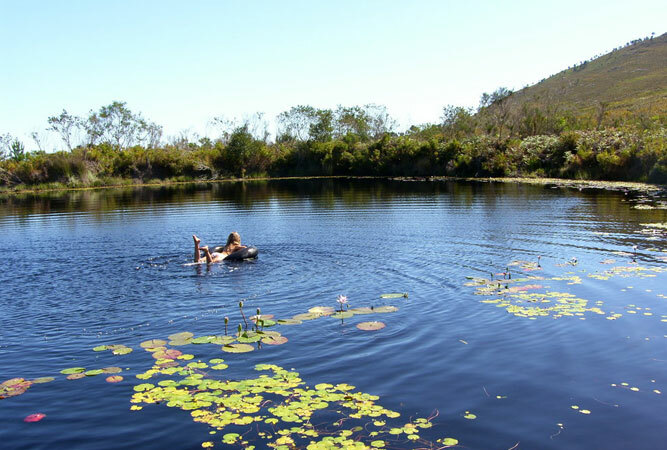 Just 70 km east of Cape Town, over Sir Lowry’s Pass, is the Elgin Valley. 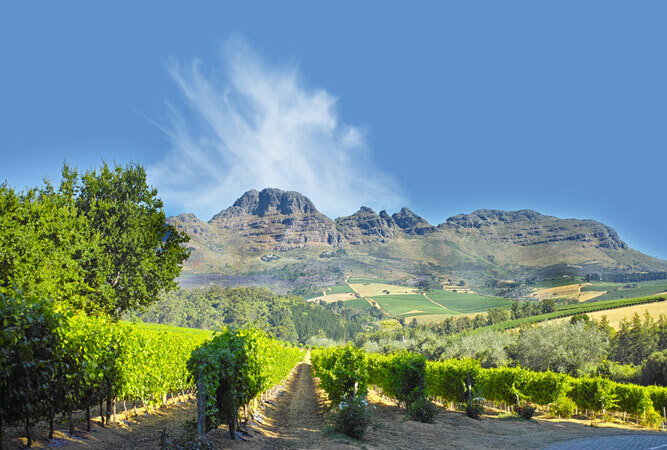 Mainly a fruit producing district, the Elgin Valley is an inland plateau surrounded by mountains, yet only 10 km from the Atlantic, so wines benefit from the high altitudes, cold winters and sea breezes. Ripening happens slowly on the vine with a resultant character wine dense in fruit and complexity. Seventeen wine estates open their doors during the annual Elgin Open Wine Weekend, and most offer wine tasting all year round. 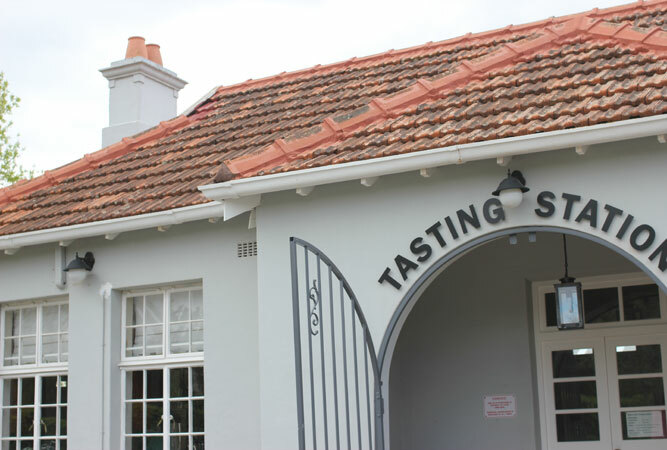 Elim is the Cape’s southern-most wine route. A collective of six winemakers that includes one from Napier they grow vines in an area known more for its inhospitable storms, and a coastline riddled with shipwrecks, than wine. Wine making here is a recent activity, with serious production beginning only in 1992. The plains of Agulhas receive cool and harsh southerly winds off the Atlantic that limit canopy growth and produce a smaller, slow to ripen grape that is surprisingly fruit intense with a natural acidity. 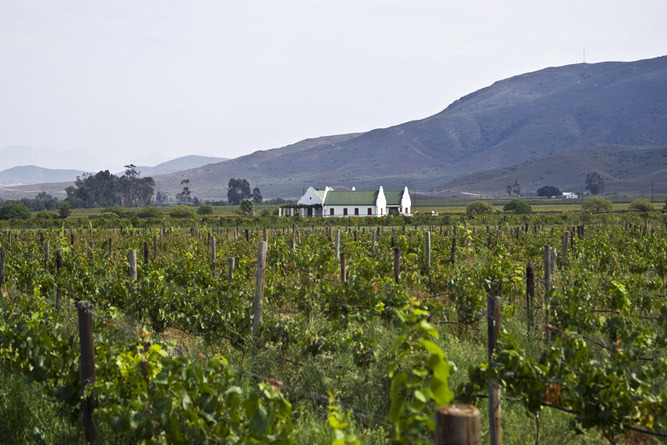 Following the R320, the Hermanus Wine Route rambles through the Hemel-en-Aarde Valley, a route of 15 different boutique and family-run wineries that produce a list of fine wines. 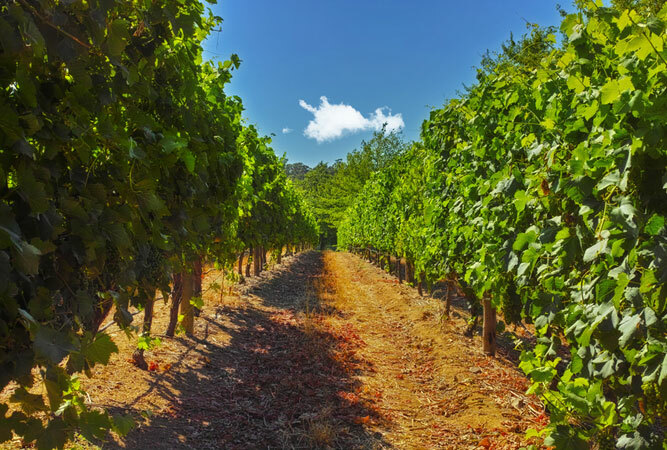 These vineyards enjoy the strongest maritime influence in the country, lying within 10 km of the Atlantic, some of them as close as 1.5km away; a higher than average rainfall; and a significantly cooler climate. Their Chardonnay and Pinot Noir is hard to beat. Look out for the annual Hermanus Wine and Food Festival. Well over 750 farms grow grapes along the Orange River. The route extends 600 kilometres between Kakamas and Hartswater in the Northern Cape. It is one of the country’s longest wine routes, and includes six wineries. This is a thirsty land, the river creating a micro-climate that produces a vast range of mostly white, but increasingly red, wines. Now known as the West Coast Wine Route, the estates along the Olifants River lie west of the N7 about 270 km from Cape town. This is a very different wine route from those close to and east of Cape Town. The climate is harsh, rain is scanty, and the vines rely on Atlantic breezes generated by the Benguela current for their complex wines. What was a region of bulk produced wine now also includes a number of artisan wines. Trace the route from the mountains near Paleisheuwel north via Klawer, Vredendal, Lutzville and Doringbaai before ending in Lamberts Bay. Also known as the longest wine route in the Western Cape, Route 62’s wine route follows the off-the-beaten-track R62 through Wellington, Tulbagh, Worcester, Robertson and the Klein Karoo. Add a brandy route to the 70 odd wine farms, and you have weeks’ worth of vineyard exploring ahead of you. Highlights include: Calitzdorp for port, the fruit orchards of the Tradouw Valley, Grundheim Wines’ witblitz, and the Kango Co-op cellars’ Jerepigo. 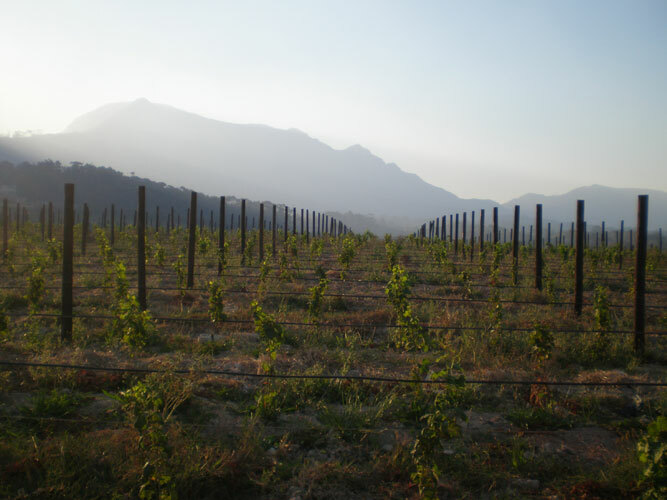 Touted as the easternmost wine producing region in the country, the Klein Karoo Wine Route lies surrounded by the Langeberg, Outeniqua and Groot Swartberg Mountains, its vines planted in what can only be termed semi-desert with summers of such intensity you gasp for shade. 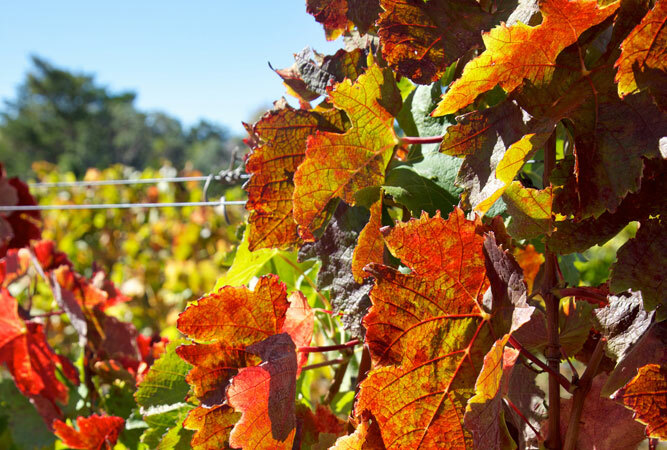 The more southerly vines of the route, in the kloofs and the foothills of the Langeberg produce more traditional wines, whilst the hotter climes, between Ladismith and Oudtshoorn, make sweeter wines and ports, as well as appealing reds. Wedged between the Riviersonderend and Langeberg mountains, the Breede River carving a path through its valley, the Robertson Wine route is an uncomplicated 90 minute drive from Cape Town. 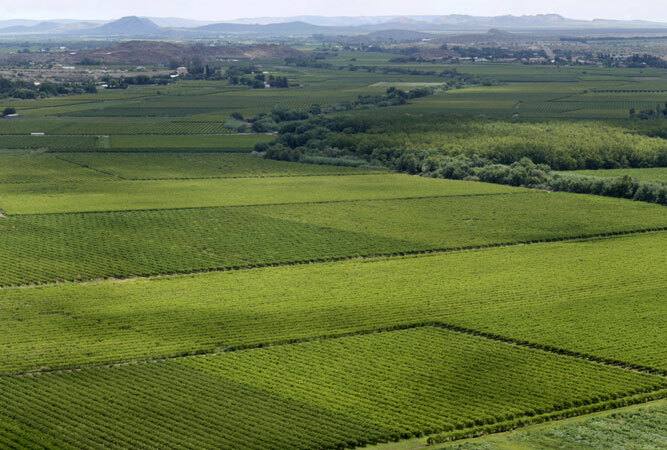 The valley is dry but many of the vines grow along the river banks or the foothills of the mountains and so benefit from a variety of soils and the south-easterly wind. Wine production has changed from large-scale production to boutique and family run estates. Look out for their Wacky Wine Weekend. 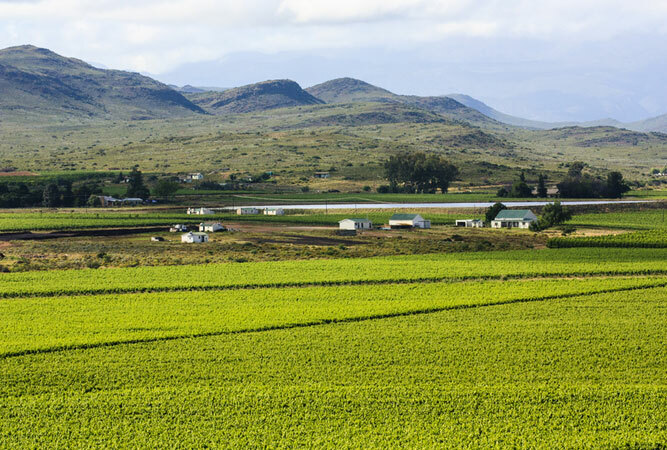 Now known as the Santam Swartland Wine and Olive Route, this West Coast wine route lies in what is predominantly a wheat and dairy farming area, extending from the Paardeberg hills in the south, to the Berg River in the north. In between is a feast of historic villages, like Malmesbury, Porterville, Piketberg, and the twin hamlets of Riebeek. The route is an hour from Cape Town.